Jim's Loire: Fit for life! I have been intending to write this post for some time. Reading Olly Smith's inspirational post on losing four stone and running marathons (http://www.ollysmith.com/losing-it-11210/) provided the necessary impetus. I can't claim to have lost four stone but I can celebrate losing around 10 kilos and regaining a level of fitness that makes me feel so much better than I did a little over two years ago in September 2012. There was a time in my early 30s when I was very fit, training regularly for cycling time trials and racing all distances from 10 miles to 24 hours - 412 miles if you ask - though this was well off the winning distance. I was able to climb reasonably well and chalked off a number of the famous Tour de France ascents including the Tourmalet, L'Alpe d'Huez and the Ventoux. When in 1988 I changed from teaching English to writing about wine I ceased to ride my bike to work as I was now working from home and it was hardly convenient turning up at tastings lycra clad and trying to find somewhere to secure the bike. Not to speak of the fatigue after tasting and spitting up to a 100 wines at some sessions. Although it has to be said that some writers do cycle to tastings. Apart from walking around London – mainly walking down to the station and then walking around Central London, I did little exercise with the exception of a few walking holidays. I kept a level of natural fitness but imperceptibly and inevitably I put on weight. A 32-inch waist became 34” and then 36”. Clothes I could once wear went to the charity shop. At least ten years I ignored a first warning sign when my doctor put me onto a daily blood pressure tablet (Bendroflumethizide). It didn’t help that he was a curt and unsympathetic character. I took the daily tablet and didn’t change my life style. Starting a blog in August 2008 was a further blow as I then spent further hours in front the laptop. I was becoming paunchy – overweight but not excessively so. An insidious process…! In June 2012 I was invited by InterLoire to join a bloggers’ cycling trip to Vouvray and Saumur. I put in a few short training rides in Touraine and found short hills I once wouldn’t have noticed had become a struggle. The cycling legs were still there on the flat but it was a very different matter when the road went uphill. I enjoyed the two-day bloggers’ trip – the hills remained problematic, especially some steep ascents around Rochecorbon where I had to get off a walk up the last section of at least two hills. I enjoyed being back on the bike and felt good. We rode mountain bikes, which Carole and I had long intended to buy but never got round to it. I should have kicked on from there but didn’t. In part this was due to the delayed opening of the renovated Forest Hill Baths. 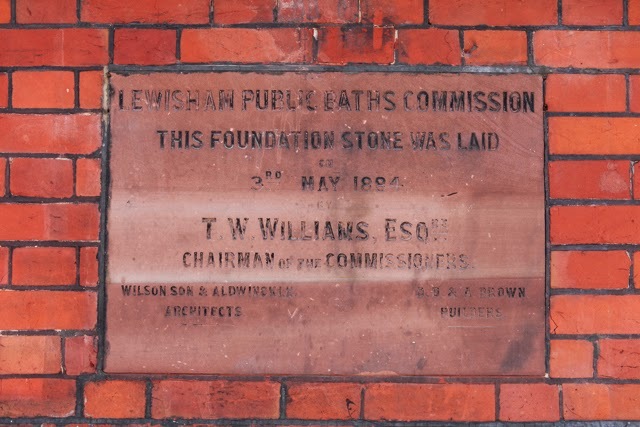 These baths and pool, originally opened in 1886, were closed in 1996 and Lewisham Council planned to demolish them. Fortunately there was a local campaign to save them. Eventually the Mayor and Lewisham Council managed to find the necessary funds – thank goodness for elections! 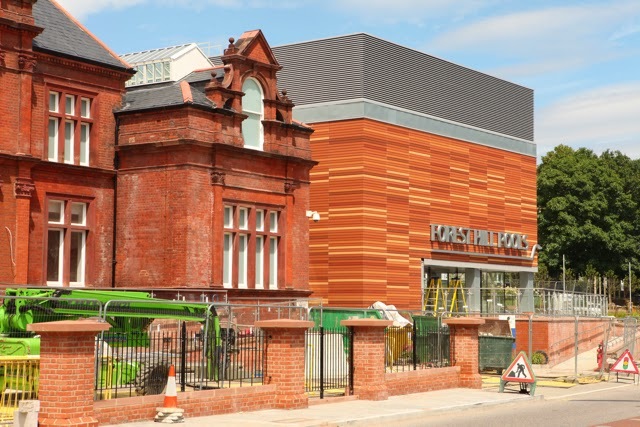 The old Victorian frontage of the baths was retained and two new pools built, one 25-metre and a learners’ pool. In addition a fitness gym and a couple of studios were incorporated on the first floor of the building. 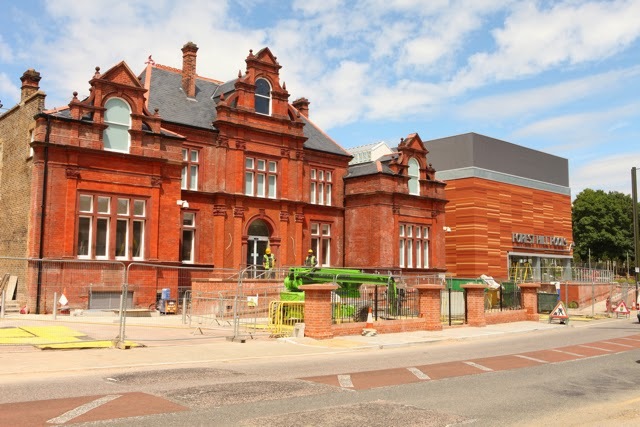 The new pools and gym facility were due to open in June/July but this was delayed until mid-September 2012. In early September 2012 my annual check up diagnosed me with borderline type 2 diabetes. I weighed over 85 kilos and my blood pressure was often at 135-140 or over. Fortunately I had changed my doctor and got the necessary advice and encouragement. It was time to do something and this coincided with the opening of the Forest Hill Pools and gym. I had never been interested in going to a gym but, having discovered that it is free to Lewisham residents over 60 years old, I started going early every morning. I would do about 30-40 minutes on the cross trainer, the bike and some of the weight machines plus the occasional row. Gradually the weight started to come off – 84 kilos – 83 kilos. A dose of Stalin’s revenge at the end of the European Wine Bloggers’ trip to Georgia took me down to 81. Mid-January 2013 I was down to 79 and briefly to 76 by mid-March. At which point I had to go to the shoe mender to get him to put an extra notch in my belt! At the same time my blood pressure dropped to regularly well below 120. In January 2013 we bought mountain bikes, which we ride when we are in Scotland or the Loire. I really enjoy the versatility of a mountain bike. They are also an excellent way to look around the vineyards as the Loire has lots of passable tracks through the vines. By the time of my annual check up in September 2013 my weight oscillated between 75 and 77 kilos. The results showed that all the figures – blood sugar, cholesterol, etc – had all moved markedly in the right direction. I came off the Bendroflumethizide and the daily dose of statins has been reduced by half. 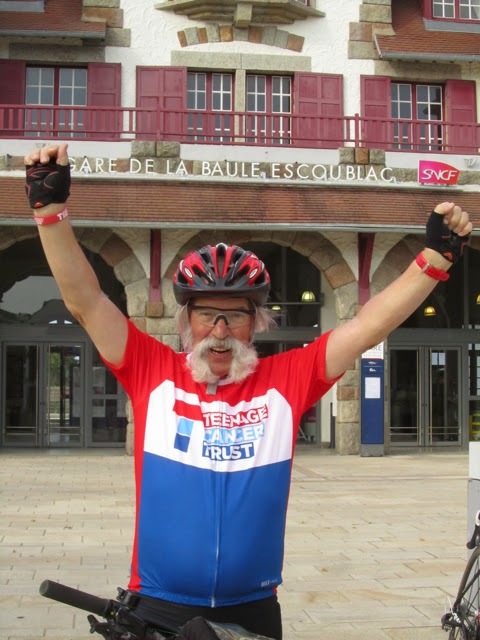 Now in mid-November 2014, I can look back on cycling 1078 kilometres down the Loire in eight days in mid-September, while climbing 6300 metres in the process. Most importantly I feel so much better, more alert and I now have to buy some new trousers with a 34-inch waist. I haven’t changed what I eat as we have always cooked with fresh ingredients and had never bought prepared meals apart from occasional things like ready-made tortellini. The improvement was down to regular exercise with a consequent increased metabolic rate. I have always been doubtful about diets, especially extreme ones that can lead to rapid weight. It is rare that such rapid weight loss can be sustained without increased exercise. I was lucky that, although I was overweight it wasn’t excessive and I still had some residual natural fitness. Had I been grossly overweight I doubt if exercise would have been sufficient. Well done to you, two, as well! Did you manage your weight loss by more exercise or changing diet or a combination of the two? I can't say exercise played much of a role :-) We took to intermittent fasting. It suits us very well because it's flexible in terms of which days are fast days. For the rest we really do eat what ever we like, and like you, we always cook from scratch, or are eating with clients. Simon's knees are thanking him.